We all remember that time in our childhoods when we stayed up watching classic, English-dubbed anime movies (on VHS!) 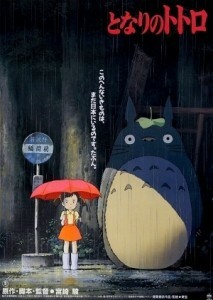 from Studio Ghibli, such as “Kiki’s Delivery Service”  (1989) and “My Neighbor Totoro”  (1988) … and to our parent’s irritation, usually over and over again for weeks on end. 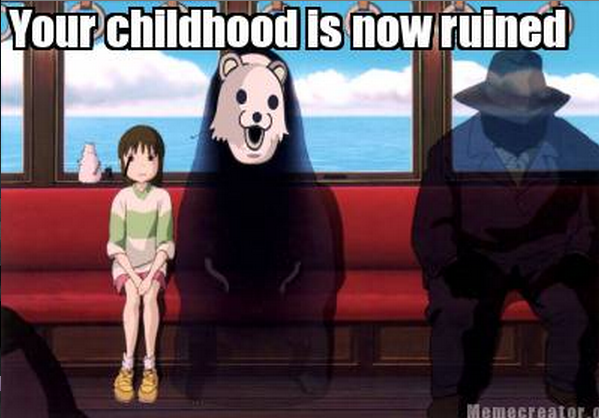 Years later, of course, we connected the dots and learned that one of our favorite films in particular, “Spirited Away”  (2001), was in fact something of an elaborate metaphor and social commentary on the child brothels of Japan, but that’s another story. Actually, we’ve created an extensively detailed infographic  to illustrate how we think you should feel about this, in case you’re interested. In any case, we still love a good dose of nostalgia. We’re very excited to remind all of our fellow Studio Ghibli movie fans that the Berkeley California Theatre’s Ghibli marathon  has been extended another week! The theater will continue these one-time reruns of classic Ghibli films only until the first week of October, so take advantage of the pre-midterm lull while you still can. Movie tickets can be purchased online in advance at Landmark Theatres , or at California Theatre itself, located at 2113 Kittredge Street in Berkeley, CA. Image source: Toho Ltd.  (poster scan; see below) and Rachel Sutton (graphic).